What is the process of installing a new business phone system? This is best described in bullet point fashion as there is a formula to follow – it’s like completing a successful jigsaw. 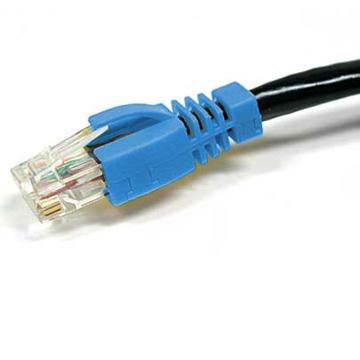 Ensure that you have sufficient cabling in your offices, the standard cabling type is Cat5e/Cat6e, which are , put simply, sockets that allow the connection of either telephones or PCs. You will require a socket for each user’s telephone and PC – so the rule of thumb is two sockets per person plus additional sockets for printers, fax machines and so forth. Ensure that you have placed your order for telephone lines and broadband connections in plenty of time. You cannot install a phone system or run a business unless either of these are in place! Ensure that you have ordered all of your office furniture and completed all of your interior design work – we need desks to put phones on whilst we set them up. Plus handsets can be expensive so you don’t want them to be lying around on the floor with the risk of getting damaged and dirty. Once the above factors have been arranged and you have an idea of when they will all be complete then you can start planning your telephone system installation. This will usually take place over a weekend to minimise any business disruption. You can also have this installed during the working week if your business is yet to begin trading. BT will install the phone lines, after which we are ready to come and install your phone system. We will need to know how you want the phone system to operate for your business so it is always good to work out some call flow diagrams so you know whose phone should ring and when. Typically we arrange a pre-installation meeting to run through the exact requirements. Our engineer will also need a full list of staff names so that the extensions can be set-up and configured as required. Once all of this has been decided then it will take between 1-2 days to install the phone system, company size dependant. We also recommend having an engineer on-site on the “go live” day to iron out any teething problems and staff queries. Once the system is installed you will probably want to pencil in some dates for telephone system training for your staff so that you can fully benefit from all of the features that the telephone system can offer! Good luck! Remember if you need help, iCS is just a phone call away 0800 9 77 88 99.